Manny Pacquiao believes he’s suited to fight Floyd Mayweather again … just look at his jacket. 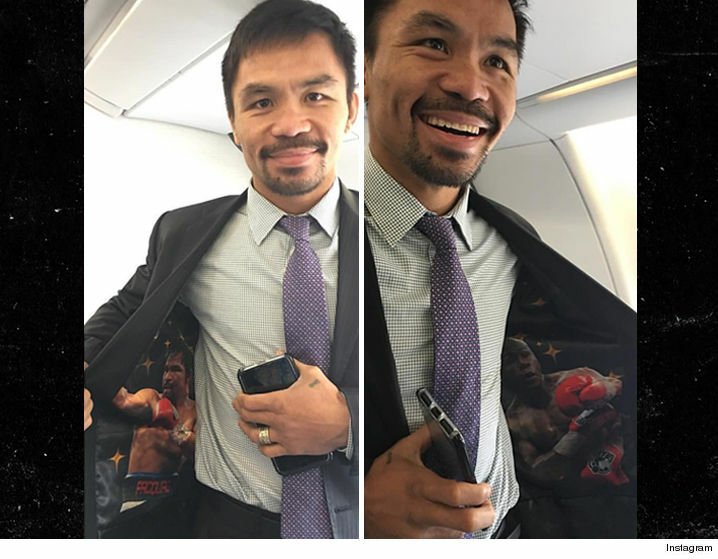 With a rematch seeming more and more likely every day … Manny is now using his wardrobe to add to the hype. The guy reportedly made about $150 million when he fought Floyd last year — so yeah, we get why he’s pushing for a rematch.